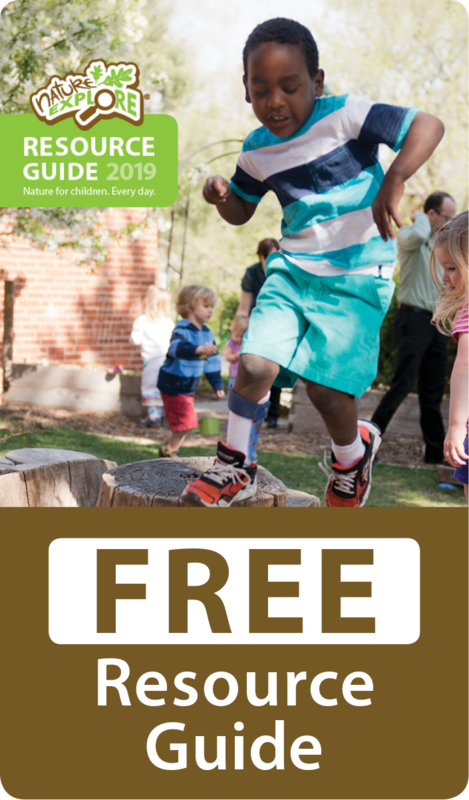 Montessori Children’s Garden started their outdoor classroom project by hiring Tony Malkusak, a local landscape architect, as their consultant. Tony, who designed his own certified Nature Explore Classroom, held a meeting with the children during the school day and brainstormed with them on their wishes for the outdoor space. He then compiled that information and met with approximately 20-25 teachers and parents to help prioritize components of the space. 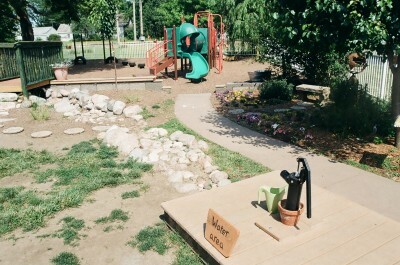 With Tony’s master site plan and a local artist/carpenter, their vision was transformed into an amazing space where children connect with nature each day. Utilizing a rectangular shape, the central part of the design includes a bridge with a dry creek bed running under it. Sedum grows between the rocks and around the bridge. There is a walkway lined with daylilies and daffodils. Two raised beds are included in the classroom, one containing lambs ear and mint and the other holding tomatoes, radishes and lettuce. The butterfly garden contains perennials such as honeysuckle, butterfly bush, coneflowers, daisies and irises. 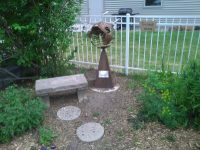 A metal sculpture depicting a globe with doves flying above was designed by a local artist in memory of Mr. Honey, who was an important part of the school. Sprinkled throughout the space are many perennials such as tall grasses and milkweed, where monarch caterpillars may be found in the late summer. An evergreen tree was planted to add color in the winter months. The children call this the Christmas tree. Spring blooms will be observed in the spring with the planting of cherry trees and a white peach tree. The space contains a mix of natural components and composite wooden structures that require little or no maintenance. Mulch, grass, stepping stones and flagstone provide ground cover. Low landscape blocks define the entire mulch area and limestone and sand surround the playhouse. There are tree cookies for building and stumps for seating. A hammock has been hung under a weeping willow tree which provides a relaxing place to rest and reflect. Stone steps lead up to a “clackety” bridge-made so the boards rock beneath your feet. With 84 children enrolled at the school, the students and their families are benefiting from learning and playing in this beautiful Nature Explore Classroom.